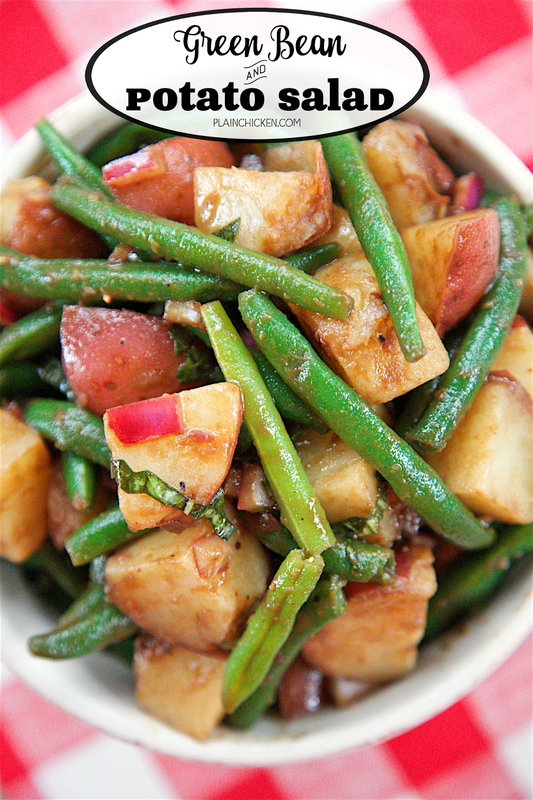 Green Bean and Potato Salad with Balsamic Vinaigrette - takes about 20 minutes to make! Can serve warm or cold. Green beans, red potatoes, red onion, basil, olive oil, balsamic vinegar, dijon mustard, lemon juice, worcestershire sauce and garlic. Great side dish for summer cookouts! Everyone loved it! 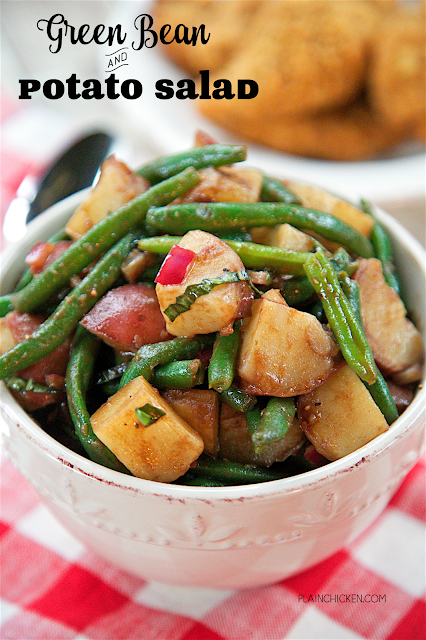 This Green Bean and Potato Salad is going to be the star of our Memorial Day cookout! I love everything about this potato salad. I especially love that this doesn't have any mayonnaise in it!! 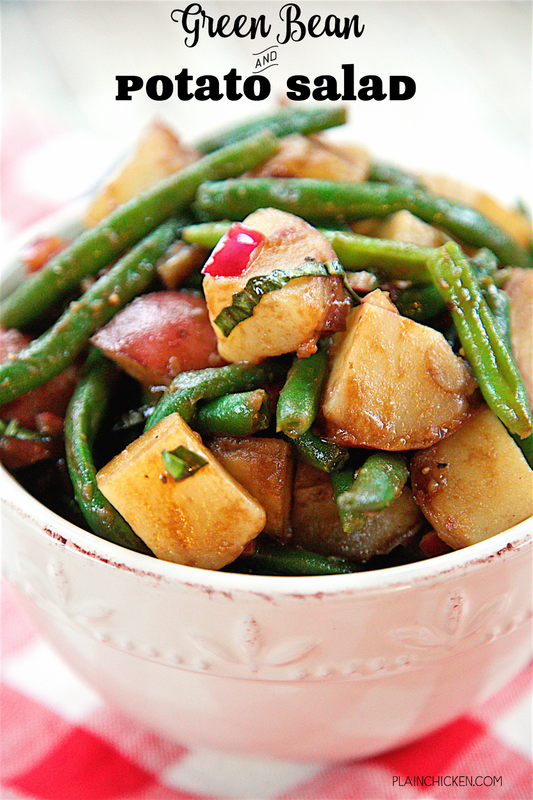 Potatoes and green beans tossed in a yummy vinaigrette and fresh basil. 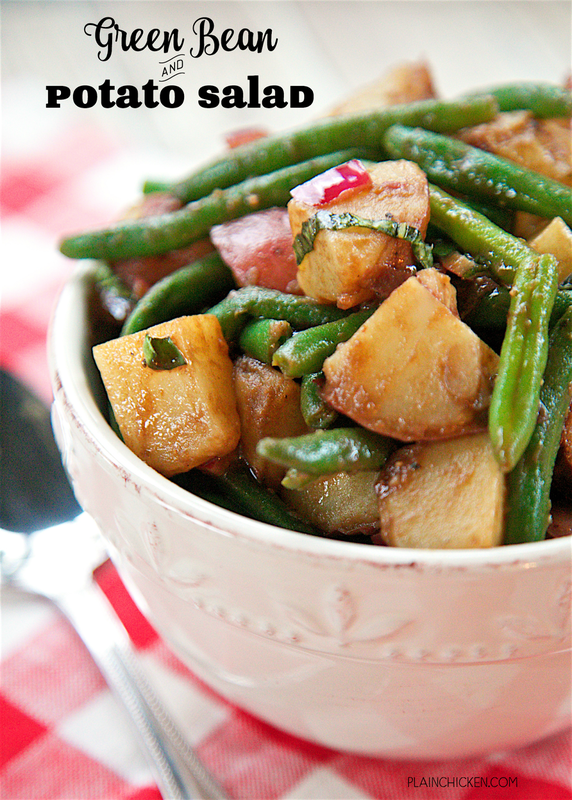 This Green Bean and Potato Salad can be served warm or cold. We ate it both ways and it was great both times. You can make this a day or two in advance and keep it refrigerated until you are ready to serve. I think it gets better as it sits in the fridge. It only takes about 15 minutes to make and it tasted delicious! This would be great at a potluck or your upcoming Memorial Day cookout! Bring a pot of water to a boil. Add potatoes and cook for 15 minutes. Add green beans to water with potatoes. Cook an additional 5 minutes. Drain potatoes and green beans. Cut cooked potatoes in half (or quarter depending on size). Place potatoes, green beans, onion and basil in bowl. Whisk together extra-virgin olive oil, balsamic vinegar, dijon mustard, lemon juice, salt, pepper, Worcestershire and garlic. Pour over potato mixture. Toss to coat.